Beer-centric Stanton Street Kitchen on the Lower East Side presents meaty, brew-friendly fare and there's even a chef's table in the cellar room. Stanton Street Kitchen, 178 Stanton St., New York, NY 10002, 917-963-6000. An import from London, Burger & Lobster has a name that says it all. The Flatiron restaurant will serve up 10-ounce burgers and pound-and-a-half lobsters, both priced at $20 each. Burger & Lobster, 39 W. 19th St., New York, NY 10011, 646-833-7532. An Upper West Side outpost of Parm has opened. Its original location is next to sister restaurant Torrisi Italian Specialties in NoLIta. Menu offerings here are more extensive, with a full range of pastas as well as secondi like pork Milanese. Parm, 235 Columbus Ave., New York, NY 10023, 212-776-4921. Another week, another newfangled Mexican restaurant opens in New York City. This time it's La Loteria, brought to you by chef Julieta Ballesteros (Crema Restaurante/Los Feliz). The restaurant serves dishes like cheesy quesadillas filled with lobster. La Loteria, 29 Seventh Ave. S., New York, NY 10014, 212-858-9096. Threes Brewing is a multi-dimensional space: it acts as a microbrewery, bar, coffeehouse and event venue all in one. The in-house-brewed beers include a melon-infused saison and a fruity pale ale. Threes Brewing, 333 Douglass St., Brooklyn, NY 11217, 718-522-2110. Tijuana Picnic, the much-anticipated Mexican-Chinese mash-up, has finally fired up its burners on the Lower East Side. The restaurant serves tuna belly tacos, duck- and foie gras-stuffed empanadas, and a Thai-spiced pork chop marinated in coconut milk. Tijuana Picnic, 151 Essex St., New York, NY 10002, 212-219-2000. Adalya in Gramercy Park offers a mostly Mediterranean menu, which includes lamb-topped flatbreads and pastas. Adalya, 55 Irving Pl., New York, NY 10003, 646-896-1441. The Folly has opened in SoHo. This gastropub features a rustic interior with wooden accents. The menu offers oceanic cuisine, including oyster shooters, octopus skewers and seaweed salad. 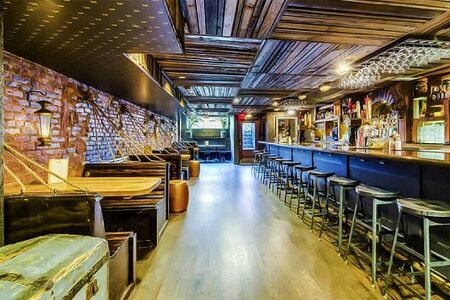 The Folly, 92 W. Houston St., New York, NY 10012, 646-726-4740. Rossopomodoro, a European chain that also happens to operate the pizza-making in Eataly in New York, has opened a branch in the West Village. The restaurant serves pasta, too, and Italian food products are for sale. Rossopomodoro, 118 Greenwich Ave., New York, NY 10011, 212-242-2310. Chef Sue Torres, who recently closed her beloved Suenos restaurant in Chelsea, is back: she's opened Espoleta, a Spanish restaurant in the space that was Forcella. Espoleta, 334 Bowery, New York, NY 10012, 212-466-3300. Eli Zabar, of the famed gourmet food shop Zabar's, has renovated Taste, an eatery inside the shop, and turned it into a new restaurant. Eli's Table serves porchetta sliders, various pasta dishes, and even a rib-eye. The chef is John Carr, who was previously seen in the kitchen at Sfoglia. Eli's Table, 1413 Third Ave., New York, NY 10028, 212-717-9798. La Gringa Taqueria in the West Village is an LA-style taqueria and an outpost of the original in Bushwick, Brooklyn. The restaurant serves an array of tacos, burritos and nachos. La Gringa Taqueria, 82 Christopher St., New York, NY 10014, 646-861-3701. LYFE Kitchen has opened its first location in New York. The restaurant features fast, healthful, nourishing fare, with no dish containing more than 600 calories. Menus cater to meat eaters as well as vegans and most special diets, including gluten free. LYFE stands for "love your food every day." LYFE Kitchen, 248 W. 55th St., New York, NY 10019, 212-265-5933. Mu Ramen, the buzzed-about ramen spot that was housed inside a bagel shop for a while, now has a location of its very own. Joshua Smookler, who logged time in the kitchen at Per Se, is the chef and owner. Mu Ramen, 1209 Jackson Ave., Long Island City, NY 11101, 917-868-8903. The world's largest white truffle recently went on auction at Sotheby's in New York. The 4-pound 16-ounce beauty sold for about $60,000 to the highest bidder, who preferred to remain anonymous. For those New York diners hoping to get a piece --- or some shavings --- of the truffle at a local restaurant, the only thing Sotheby's would reveal about the buyer was that she or he lived in Taiwan. Now that wd-50 has closed, chef Wylie Dufresne has some time to dedicate to his more casual tavern-like eatery in the East Village, Alder. For example, he's just put a burger on the menu --- his first --- and it looks good: a Pat LaFrieda beef patty topped with beer cheese. It costs $13. Alder, 157 Second Ave., New York, NY 10003, 212-539-1900. It's been announced that Per Se, one of the most acclaimed restaurants in New York City, is going pre-paid. Along with chef Thomas Keller's other venue, The French Laundry in Yountville, Calif., Per Se will use a service that asks diners to pay upon booking. The system is set to begin in spring 2015. Per Se, Time Warner Center, 10 Columbus Cir., New York, NY 10019, 212-823-9335. Terrance Brennan has left his restaurant Artisanal. The Murray Hill establishment retains its Gallic accent, minus the previous emphasis on cheese. There are over 500 bottles of wine and 17 signature cocktails as well as dishes like pan-fried salmon, “chicken under a brick” and a $45 burger smothered in fondue. Artisanal, 2 Park Ave., New York, NY 10016, 212-725-8585. Chef Christian Delouvrier is retiring and his last service at eastside French bistro La Mangeoire was Wednesday, December 24, 2014. La Mangeoire, 1008 Second Ave., New York, NY 10022, 212-759-7086. Gramercy Tavern chef Michael Anthony has been named the executive chef of Untitled, the restaurant inside the soon-to-open Whitney Museum of American Art, the Renzo Piano-designed museum in the Meatpacking District. Untitled, 99 Gansevoort St., New York, NY 10014, no phone. West Village Gallic eatery Sel et Gras has quietly closed. An outpost of the popular East Village taqueria, Otto's Tacos, will move into the space on Seventh Ave. and W. 10th St. Sel et Gras, 131 Seventh Ave. S., New York, NY 10014, no phone. Cafe Condesa, the diminutive eight-year-old eatery in the West Village, has shut down. Cafe Condesa, 183 W. 10th St., New York, NY 10014, no phone. Peter Hoffman's Back Forty has closed. Back Forty's SoHo sister restaurant, Back Forty West, remains open. Back Forty, 190 Avenue B, New York, NY 10009, no phone. Just-over-a-year-old Villard Michel Richard at The New York Palace hotel has shut down. The restaurant never really took off with Big Apple diners. Richard’s French market/bakery Pomme Palais remains open. 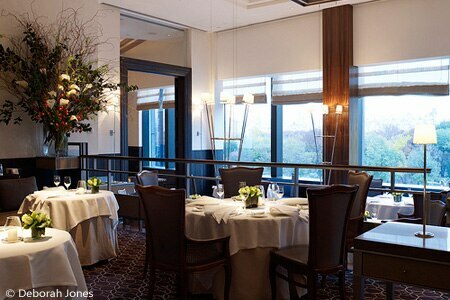 Villard Michel Richard, The New York Palace, 455 Madison Ave., New York, NY 10022, 212-891-8100. Terroir, the original wine bar in the East Village that spawned a few different locations around Manhattan, will shut down on January 31. But chef Marco Canora plans to retain the space and turn it into an entirely new concept. 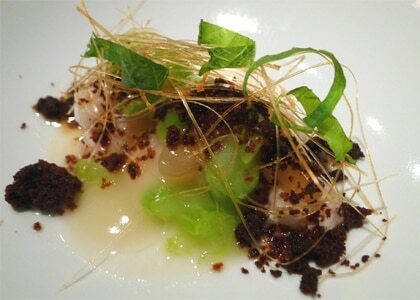 Terroir, 413 E. 12th St., New York, NY 10009, 646-602-1300. Marco's, the short-lived Italian restaurant from the team that brought you Franny's, closed on December 13. In a note to patrons, the owners said the business just wasn't profitable enough to remain open. Marco's, 295 Flatbush Ave., Brooklyn, NY 11217, no phone. Chip Shop, long anchored on the corner of Fifth Ave. and 6th St. in Park Slope, shut down its deep-fat fryer for good on December 24, 2014. The nearby Chip Shop at 129 Atlantic Ave. will remain open for those in need of a fish ‘n’ chips fix. Chip Shop, 383 Fifth Ave., Brooklyn, NY 11215, no phone. Chelsea’s short-lived Heartwood has shut down. Donatella Arpaia, who ran the previous restaurant in the space, is said to be opening up another place at the same address. Heartwood, 184 Eighth Ave., New York, NY 10011, no phone. Chef Wylie Dufresne's avant-garde restaurant wd-50 shut down at the end of November. wd-50, 50 Clinton St., New York, NY 10002, no phone.